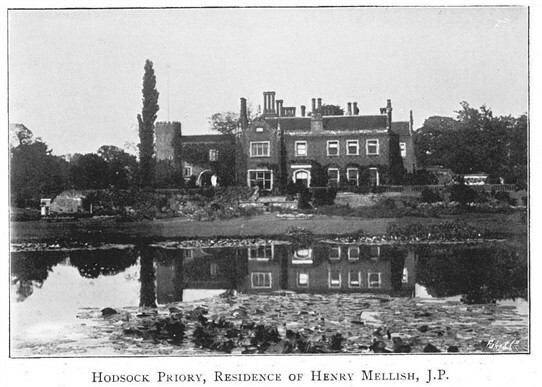 Writing in 1910, Everard Guilford* (p.99) says "Hodsock Priory, the home of Colonel Mellish, was never a priory. It belonged to the Cressy and Clifton families. Nothing but a brick gatehouse (c.1500) remains of the old hall"